The new version 1.14 celebrates three years of continuous innovation. OSLO, Norway – 31 January 2018 – Vivaldi launches version 1.14 celebrating its third anniversary since the browser’s first public technical preview. With this update, Vivaldi becomes the first browser to introduce a vertical reader mode. This version also includes Markdown support for Notes, rearrangeable Web Panels, and the ability to reorder search engines. 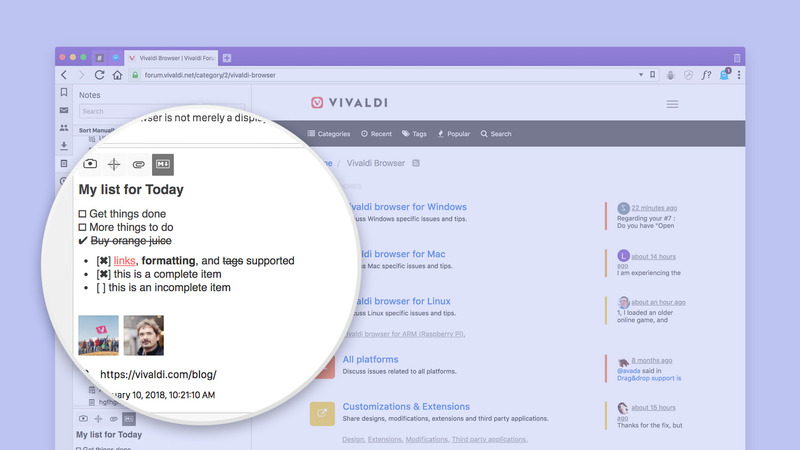 The Vivaldi browser is the first browser to support a vertical Reader View. This feature reflects the priority on individual needs of users that has driven innovation at Vivaldi over the last three years. 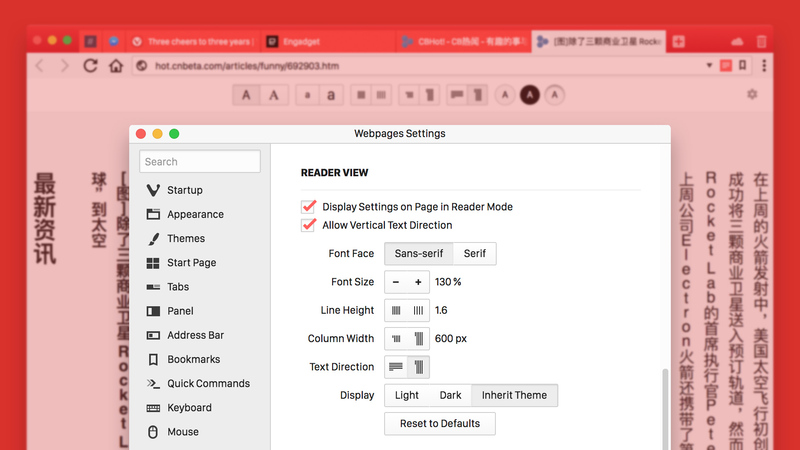 With Vivaldi’s Reader View, users can access content and enjoy a clutter-free reading environment. They can change the font, adjust the line height, column width and switch to dark or light background while in Reader View. 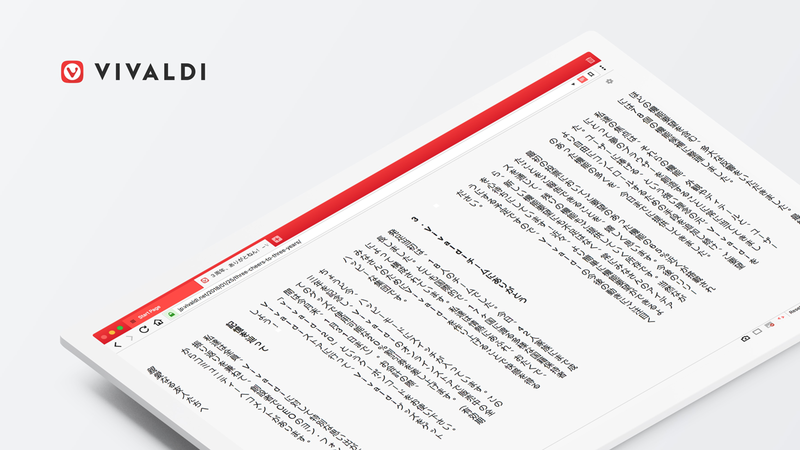 With the introduction of vertical reader mode in this release, Vivaldi caters to users of Chinese (simplified and traditional), Japanese and Korean languages. A vertical display is one of the default ways to view written text in these languages. Users can now read texts in these languages comfortably with no distracting page elements. They can choose their reading preference by accessing Webpages in the Settings and clicking on vertical text direction. With each release, Vivaldi improves its differentiating features without relying on add-ons. Notes are one of the most popular features along with Tabs Stacks, Tab Tiling and an extensive History function. Users can create notes in the browser’s side bar, annotating websites and attaching screenshots while they browse. In 1.14, the note-taking feature gets an upgrade with Markdown support, a natural and intuitive way of applying formatting which is used by many sites including GitHub and Reddit. Users can now add formatting like headers, bolding and bulleted lists to their notes while surfing the web. This is a great way to organise notes, compose emails, to-do lists and more. In addition to markdown formatting, they can also use this option to preview simple HTML. From a productivity standpoint, the Markdown support is useful because it helps users – particularly bloggers, journalists and researchers – to quickly and instantly format text. With this addition, users can use Notes to write longer emails, novels, and pretty much all other types of text documents. Taking cues from its community and improving the existing features have been a focal point of Vivaldi. One of Vivaldi’s signature features, Web Panels, has been greatly improved. With Web Panels, individual websites can be added to Vivaldi’s side panels to browse alongside the main browser window. It is a great way of quickly browsing social media or news sites without switching tabs. Users can even adjust widths for different web panels, which gives them greater flexibility over how the content is presented. In version 1.14, users now get the ability to reorganize and customize the position of the Web Panels in the sidebar of the browser. They can prioritise their choice of web pages on the fly to make their browsing even more interactive and convenient. 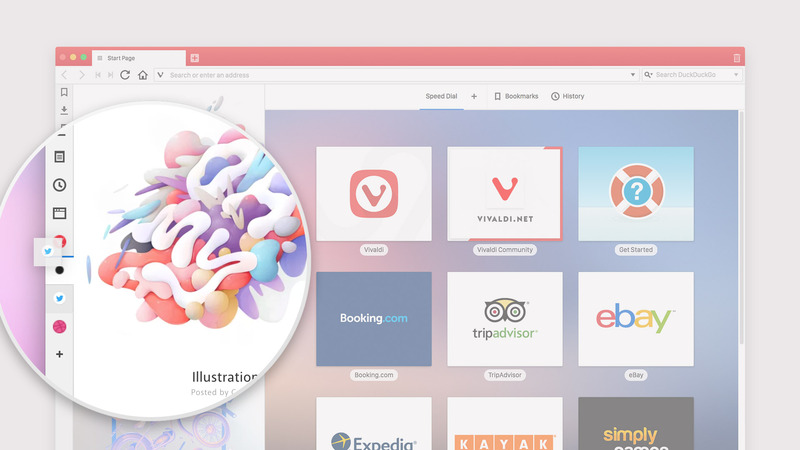 Vivaldi puts its users in full control to search the web the way they like. 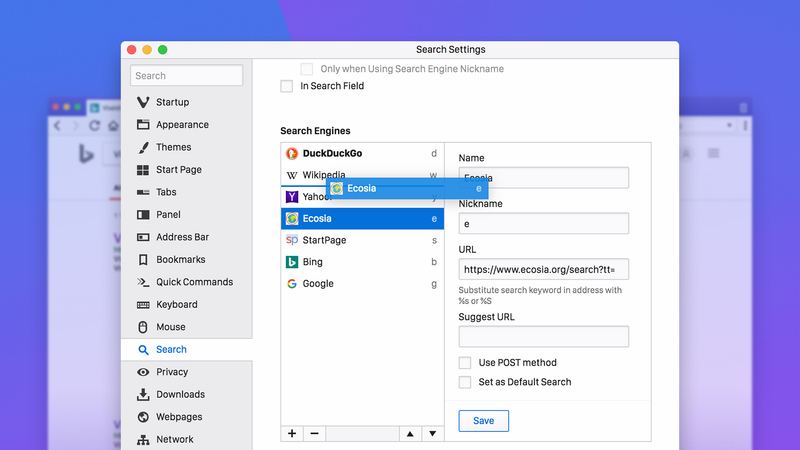 They can set their default search engine or select from the various alternatives such as the privacy-friendly DuckDuckGo and eco-conscious Ecosia. A new search engine can even be added instantly with a right-click improving workflow and efficiency. The latest version brings in a highly requested option to Vivaldi’s search functionality adding more flexibility. Many users have requested the ability to rearrange their search engines. With the new list layout, they can drag-n-drop (or use their keyboard) search engines in the order they want, with ease.